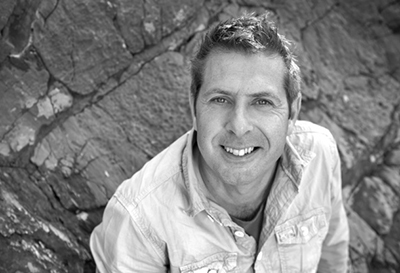 Scottish geologist and TV documentary presenter Professor Iain Stewart will be the inaugural recipient of the UNSW Medal for Science Communication, established in 2014 by the Dean of UNSW Science to recognise excellence in the public communication of science. The annual award honours individuals who have shared their knowledge and scientific insights with a broad audience – informing, inspiring and engaging the public on scientific topics and issues. The recipient then delivers the Scientia Lecture. A Professor of Geoscience Communication at Plymouth University in the UK with a special interest in earthquakes, volcanoes and the volatile history of our planet, he has presented many science programs for BBC TV, including the award-winning Earth: The Power of the Planet, a five-part series about the forces that shaped Earth. The 21st century is like a golden age for geology. Rocks not only provide a fascinating window into the distant past; we live at a time when we have the technology to see geological processes that could affect our future occurring in front of our eyes. Drawing on experiences from more than a decade of documentary-making for the BBC, this talk will explore how it is possible to communicate these exciting aspects of geology through better storytelling, so there can be meaningful public engagement on geological issues that affect society. The 2014 Scientia Lecture will be chaired by science journalist and ABC broadcaster Robyn Williams, presenter of Radio National’s The Science Show.